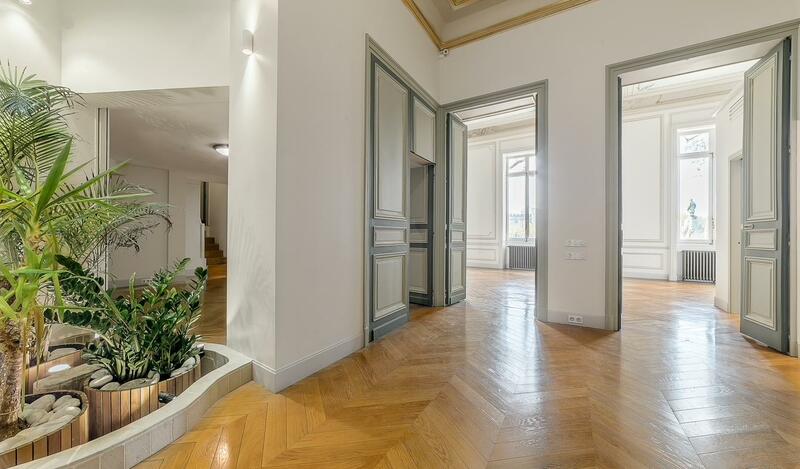 PARIS 7th district - Invalides - Ecole Militaire / Apartment 9 rooms with garden. A large entrance hall distributing a reception room, an office, a fitted kitchen with office, opening onto the dining room / living room which overlooks the garden. On either side of the reception are a master bedroom with bathroom and dressing room, and a guest bedroom with shower room. On the mezzanine floor, a space for staff with kitchen, bedroom and shower room. In the basement, a laundry room, a gym or a 3rd bedroom with shower room and dressing room. Completely renovated and air-conditioned apartment, with top-of-the-range services, benefiting from a ceiling height of 4.70 m and a triple exposure (West, East and South). 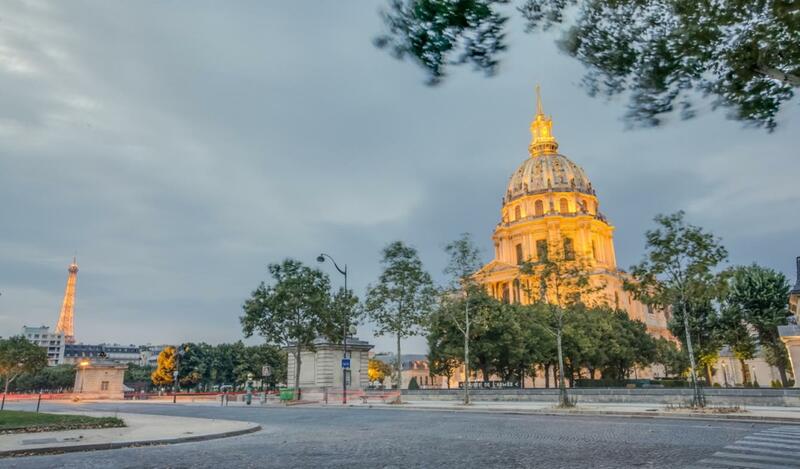 The reception and rooms have superb views of the monuments (Invalides and Tour Eiffel). It should be noted that this property was the former residence of the Duke and Duchess of Orléans and was occupied by Yves Saint Laurent from 1961 to 1970.